CRFFN Chairman, Alh. Abubakar Tsanni( 3rd from left) , MARAN President, Mr. Anya Njokwu(1st from left) with other CRFFN Council Executives during the Council's visit to MARAN Secretariat on Friday. The new Chairman of the Council for the Regulation of Freight Forwarding in Nigeria (CRFFN), Alhaji Abubakar Tsanni, on Friday expressed his determination to sanitise the freight forwarding industry. Tsanni said sanitizing the maritime sub-sector would especially be in the area of amending the Council’s Act and eliminating foreigners in the cargo clearing processes at the nation’s ports and other trade locations. Speaking during a courtesy visit to the headquarters of Maritime Reporters Association of Nigeria (MARAN), in Apapa, Tsanni sought support of the maritime journalists and said he was determined to give his best in ensuring that the freight forwarding industry is strengthened to create millions of jobs for Nigerians. He said: “We are here to do our best for the industry; to find ways to sanitise the freight forwarding industry improve the capacity of freight forwarders and strengthen the council’s laws to be able to solve the problems and challenges. We believe that by doing this, we will become more effective in our trade and then be able to reduce cargo dwell time in our ports. 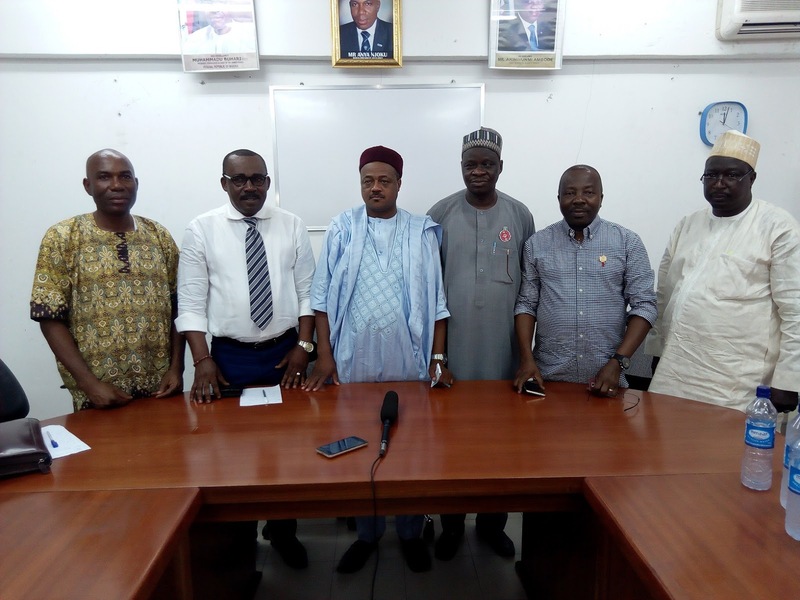 The CRFFN boss had in his entourage other members of the CRFFN’s board, top officials of the council and the National President of the National Association of Government Approved Freight Forwarders (NAGAFF), Chief Increase Uche. Also speaking at the visit, Uche said the Practitioners Operations Fees (POF) remained a major source of fund for the council. He also said that the council would be working to specifically ensure that no foreigner is seen doing business in customs brokerage circles. ”By grace of God, POF will be the life-wire of CRFFN and we are not going to let it die. The freight forwarding industry is so large; a vital industry like freight forwarding that links up all the logistics chain should be able to generate enough funds for itself. “We may not go back to issues that will lead to controversy, but we will make sure that POF survives and used for the purpose for which it was created,” the NAGAFF President said. Earlier, the President of MARAN, Mr. Anya Njoku, called on the council to ensure that its doors were open to maritime reporters. He also spoke on the need for the CRFFN Act to be amended for the council to be more powerful in its regulatory duties.